Manchester United have reached an agreement for the £80 million signing of Sergej Milinkovic-Savic. Jose Mourinho had previously made it clear that he will be focusing on recruiting apt central midfielders and defenders in the summer, and he has already roped in a player to man the middle of the park in the form of Lazio superstar, as per The Sun. With Michael Carrick retiring and Marouane Fellaini likely to leave, Milinkovic-Savic will fit into the current United squad perfectly. Moreover, the Serbian seems a natural partner for his fellow countryman Nemanja Matic as well as club talisman Paul Pogba. A host of parties have expressed their interest in the 23-year-old, but Mourinho’s relationship with the player’s agent, Mateja Kezman – one of the Portuguese tactician’s first Chelsea signings – granted the Red Devils an edge over the other teams in pursuit of the starlet. Manchester United supposedly wrapped the deal up in a hurry, as officials at the English outfit were worried about Sergej’s transfer value skyrocketing following his involvement with Serbia in the upcoming World Cup. 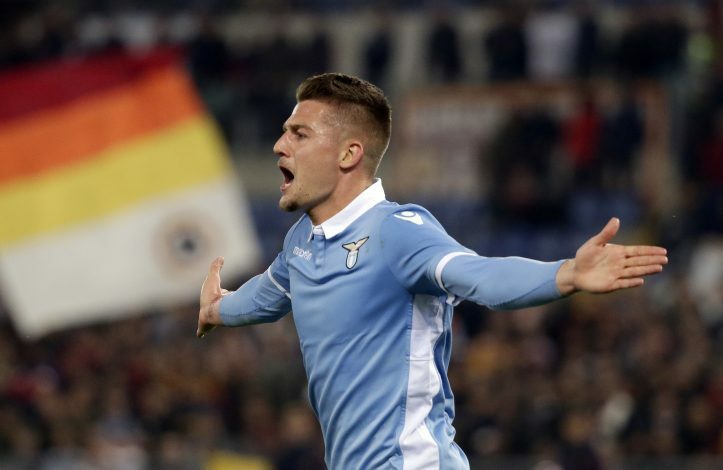 The £80 million fee does appear a little steep at first glance, but in the current inflated transfer market, it is quite reasonable for a young talent who not only bagged 13 goals for Lazio this season, but dominated his midfield expertly in the process.